Killed in Action Korea 17th October 1950, Aged 28. Commemorated on UN Wall of Remembrance, Korea. 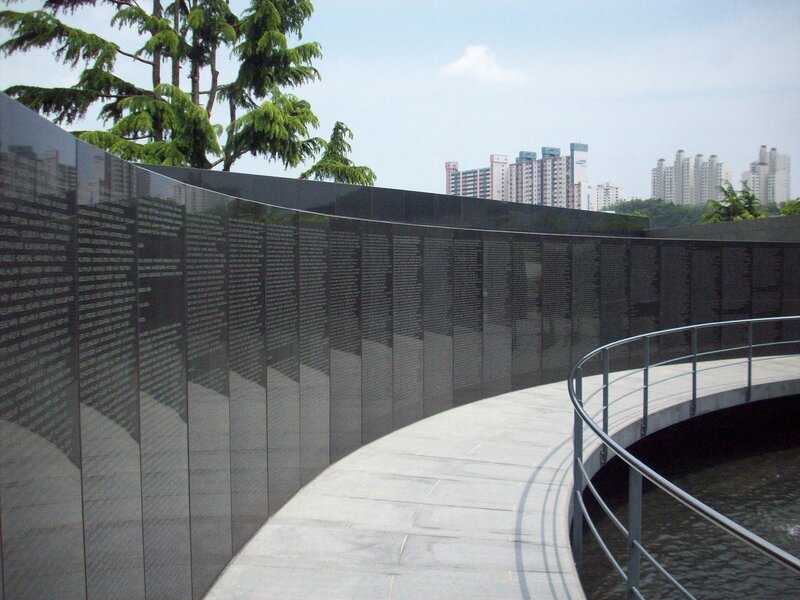 UN Wall of Remembrance, Pusan, Korea. 1st Bn, Royal Australian Regiment. Killed in Action Korea 7th November 1952, Aged 21. Buried United Nations Memorial Cemetery, Tanggok, Busan, South Korea, 28-11-12, 1104. Served under the alias of David Jackson. David Nix was born on 9th November 1929 in Loughborough. He was the youngest child of John William Nix (or Nixx) and his wife Mary Emma (née Beckson) who were married on 10th June 1905 at St Saviour's Church, Nottingham. David's father, who was known as 'Jack Nix', had served for ten years with the York and Lancaster Regiment, and had been with his Regiment in Southern Rhodesia and South Africa during the 2nd Boer War. Discharged from the Army to the Army Reserve he became a horizontal borer for Morris Cranes in Loughborough. When the First World War broke out he was recalled and sent to France for three years. After the war he returned to work for Morris Cranes. In the 1950s both of David's parents were heavily involved with the Loughborough Branch of the British Legion. David Nix's family lived at 12 Thomas Street, Loughborough. David had four brothers John, Alfred, Howard and Malcolm and six sisters Maud, Lois, Joan, Jessie and Rita (twins) and Freda. Another brother Walter, twin to Lois, died aged one. David at first joined the Royal Marines. He then planned to make a new life in Australia once his active service was over. 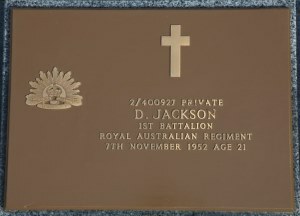 In about July 1952 and while living in Moore Park, Sydney, New South Wales, David joined the Australian Army under the name 'David Jackson'. Whether he had been discharged from the Royal Marines or had requested a transfer to the Australian Army is unknown. His reason for using an alias is also obscure. 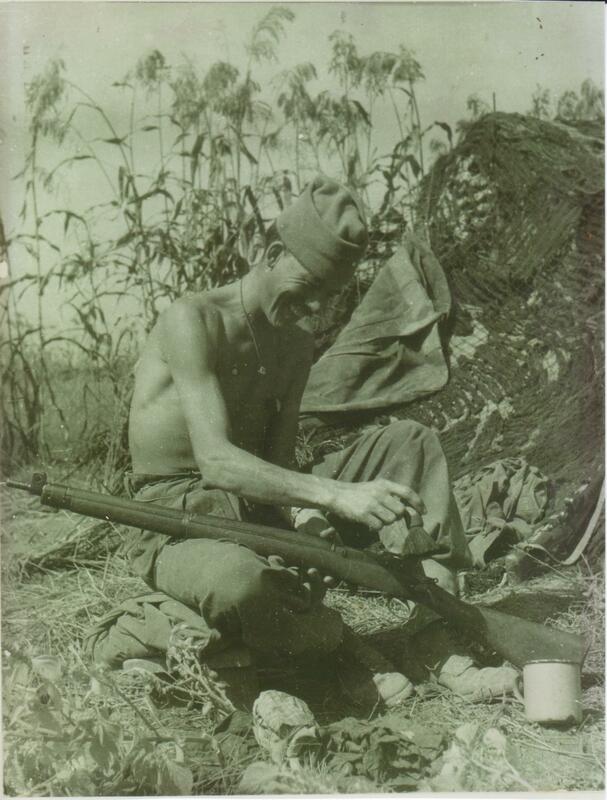 David was posted to the 1st Battalion of the Royal Australian Regiment (1RAR) in Korea as Private 2/400927. Not long after he arrived in Korea his battalion, which was involved in Operation Nescala, relieved the 1st Battalion of the Royal Canadian Regiment on Hill 355 about 40 kilometres north of Seoul. Known as 'Kowang San' to the Koreans, it was nicknamed 'Little Gibraltar' by UN troops because of its prominent size and many defensive positions. Hill 355 was highly valued because it was the highest ground overlooking the surrounding front lines and supply routes. It had been poorly maintained, however, and over the course of the next ten days 1 RAR had to regain control of the approaches and re-establish security in the area, suffering 50 casualties in the process. 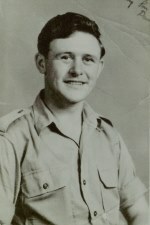 David was killed while on patrol in Majon-Ni, Kangwon-do, North Korea on 7th November 1952, aged 22. Another soldier had trodden on a mine and a piece of shrapnel hit David on the head, killing him instantly. David was buried as 'D. Jackson' in Tanggok Cemetery, Busan, South Korea, Grave 19.11.1104. The cemetery is now part of the United Nations Memorial Cemetery in Tanggok, and David's grave is now numbered 28-11-12, 1104. His age on the gravestone is incorrectly given as 21. David Nix is commemorated as 'David Nix' (also known as 'David Jackson') on the Roll of Honour of the Australian War Memorial in Canberra.